Rich or poor, five people, seemingly very different, find their lives in the capital connected in undreamed-of ways. There is Job, the illegal mini-cab driver whose wife in Zimbabwe no longer answers his letters; Ian, the idealistic supply teacher in exile from South Africa; Katie from New York, jilted and miserable as a dogsbody at a political magazine, and fifteen-year-old Anna, trafficked into sexual slavery. Polly Noble, an overworked human rights lawyer, knows better than most how easy it is to fall through the cracks into the abyss. Yet when her au pair, Iryna, disappears, Polly's own needs and beliefs drag her family into a world of danger, deceit and terror. 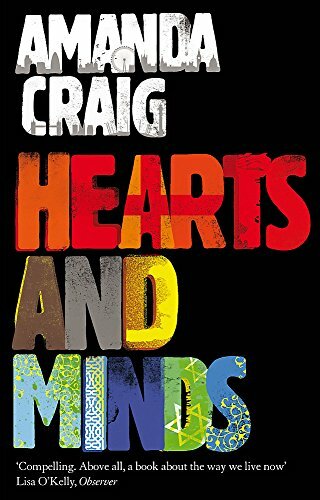 Riveting, humane, engaging, HEARTS AND MINDS is a novel that is both entertaining and prepared to ask the most serious questions about the way we live.